Turn-of-the-century Neo-Classicism comes in all shapes and sizes, though the range of color tends to be limited to a neutral palette. The role of “banker” in any community was financially conservative. Since banks tended to be locally owned, it was your money in that vault being lent for projects of community betterment, whether personal or public, so #1) you knew where your money was going and what it was doing, because #2) the president, cashier, and board of directors were your friends and neighbors. Classically-based styles reinforced that image, whether or not it may have been accurate. These two banks — one in Marvin, South Dakota and the other in Gary, Indiana — represent the extremes of sophistication and naivete when interpreting Neo-Classicism. 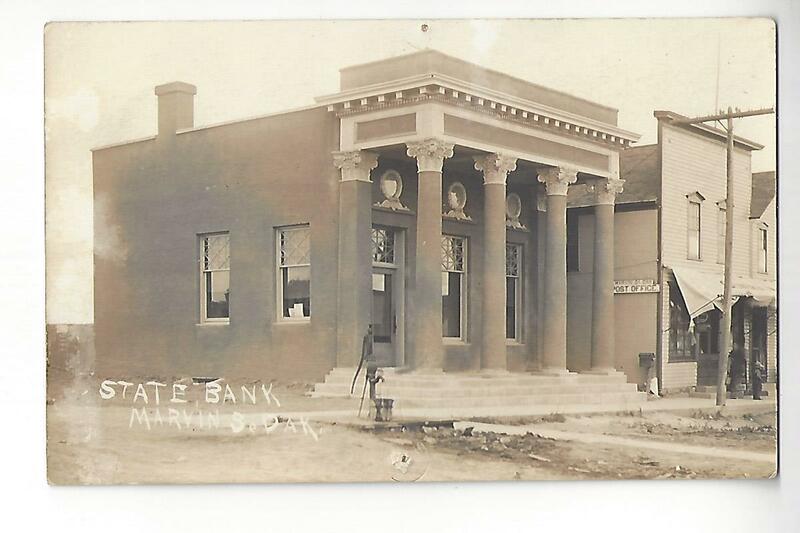 The Marvin bank is gone but it is still likely that its Corinthian columns were either wood or stucco (what at the time might have been called “staff”), while Gary’s version is solid stone, probably granite, with hollow tile backup for total fire protection. Both used an architectural style derived from ancient Rome to suggest strength, stability and longevity. 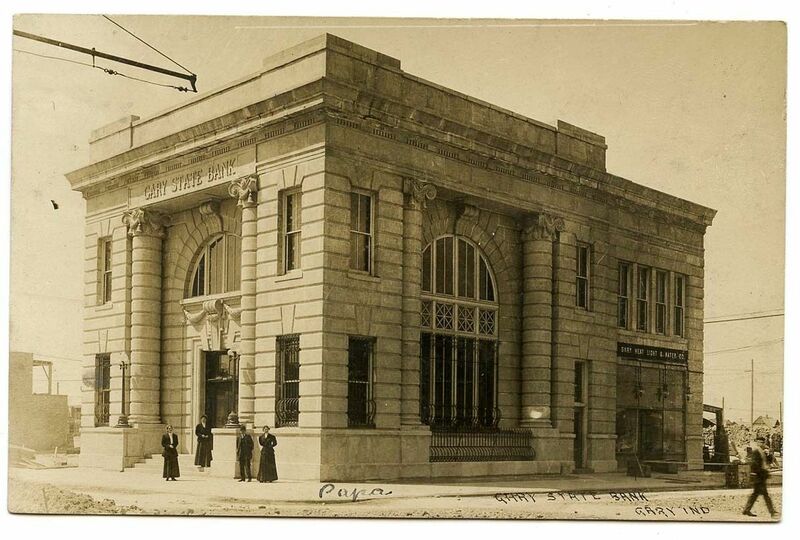 Yet, despite its granite exterior, the Gary State Bank stood only from 1905 until it was replaced by a much larger building twenty-two years later. One thing is generally true about this style: its proportions were highly predictable, almost formulaic. By agincourtiowa in Uncategorized on Tuesday/06/September/2016 .